If you've been using the Airtel BlackBerry Subscription on Non-BlackBerry devices recently, you will notice something unusual about it. Before, the 2GB Airtel Blackberry Subscription works on Any device and it usually last for a month, which is it's normal exhaustion period. But now, some people only use their 2GB for just 3 days while some managed to use it for a week, mine was exhausted within 10 days. The question now is - Without downloading, streaming online videos and running any data-draining App or Software, do you think the 2GB we've been using for a whole month will just finish in a couple of days without any changes from Airtel ? According to my observation, Airtel is charging more than double of the data you are using on their Data Plans, that's why the 2GB always get burnt before it's normal exhaustion period. I've also tried some other Airtel plans and it's almost the same thing. We hope Airtel will fix the issue before it gets out of hand, I also got a message from Airtel not quite long ago apologizing for the issues with their Data plans so maybe it will be fixed as soon as possible. 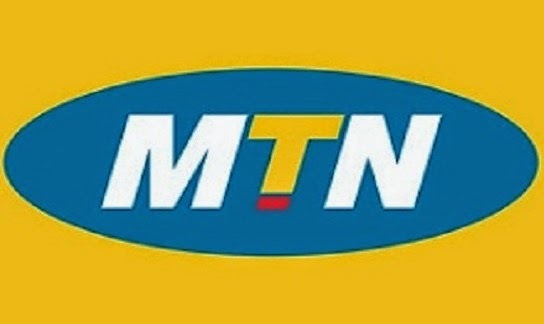 Now, the main reason for writing this post is to inform you about the MTN Night and Weekend Plan that I switched to few days ago, because of the issues with Airtel, I decided to start using the MTN Night and Weekend Plan since it works on other devices and it's still affordable, although there are some things you have to take note about this plan before activating it. 1. The MTN Night and Weekend Plan offers 3GB of Data but because of the ongoing MTN Delight Offer, you will get 1.5GB FREE which sums up totally to 4.5GB. Thus briefly, the plan offers 4.5GB of Data. 2. The MTN Night and Weekend Plan last for a month and it costs #2500 only. 3. The MTN Night and Weekend Plan can be used from 9:00PM to 6:00AM during the Week while it works 24Hours on Weekends (Saturday and Sunday). 4. The FREE 1.5GB you get on the 3GB can be used anytime of the day, even on both Weekends and during the Week but when you exhaust the 1.5GB, your data usage will be restricted to Night and Weekends as mentioned in #3 above. 5. The MTN Night and Weekend Plan works on Any Device (Android Phones, PC, iPhones, Tablets, Windows Phones etc). After Recharging your MTN SIM with #2500, just dial *102# on your Phone. The #2500 will be deducted and the plan will be activated immediately. Send 2 to 131 in a Text message to view the remaining amount of Data on your 3GB Balance. Since the 1.5GB is an additional extra Data, the code to check it is different, just dial *559*2# or *559#. Hope you find this post useful. If you have any question about this post or if you know of any other affordable Data Plan in Nigeria that is working on Non-BlackBerry device. Don't hesitate to drop a comment using the comment box at the bottom. Why not share this post with your friends by using the share button below. Cheers !! !